Home » Education » Why Does the Sunset in the West? Have you ever thought why does the sunset in the west? Let’s study first the Earth’s spin (or rotation) on its axis. 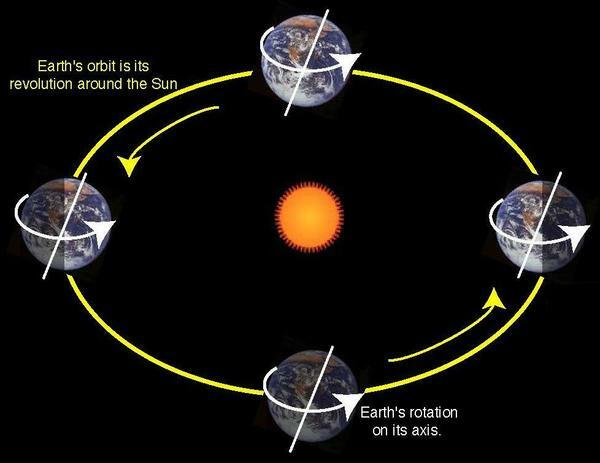 Earth rotates or spins toward the east, and that’s why the Sun, Moon, planets, and stars all rise in the east and make their way westward across the sky. Suppose you are facing east – the planet carries you eastward as it turns, so whatever lies beyond that eastern horizon eventually comes up over the horizon and you see it! Why does the Sunset in the West ? The Sun seems to drop lower in the sky as the day comes to an end. But it is the Earth that is moving, not the Sun. Only one side of Earth faces the Sun at any time, so one side is always lit and the other is always dark. For example, When it is daytime in New York City, for example, it is nighttime in Tokyo and vice versa. And there is always a point, somewhere in the world, where the daytime and nighttime sides of the planet meet. This is where the Sun is “setting.” The Sun seems to be moving lower in the sky, taking its light away. In reality, the Sun is not going down. Instead, Earth is rotating on its axis. Meanwhile, on the other side of Earth, someone else is watching the Sunrise.